New York's former Attorney General Eric Schneiderman will not face criminal charges following allegations from four women that he assaulted them - a string of accusations that led to his abrupt resignation in May, the prosecutor charged with investigating the incidents announced today. In statement in response to the announcement, Schneiderman, who spent time in a rehabilitation facility after resigning, said that he recognizes that "the decision not to prosecute does not mean I have done nothing wrong," and reiterated what he has said before - that he takes "full responsibility for my conduct." "Following an exhaustive review, evaluation of the facts, the law, and applicable statutes of limitations, I have concluded our investigation into the allegations of physical abuse allegedly committed by former New York State Attorney General Eric T. Schneiderman without criminal charges," Nassau County District Attorney Madeline Singas wrote in a statement released this morning. Singas stressed in her statement that she believed the women who made accusations against Schneiderman, citing "legal impediments" to successful prosecution as a reason for choosing not to file criminal charges. Singas also stressed that she had relied on both a team of seasoned special victims' investigators and prosecutors, and her own interviews with the women who cooperated with her investigation and their attorneys. Additionally, she wrote in the statement, "Our team interviewed members of Mr. Schneiderman's security detail, employees of the Office of the Attorney General, potential witnesses identified during the pendency of our investigation, and we followed-up on each call to the tip line we established for this matter." Schneiderman continued: "After spending time in a rehab facility, I am committed to a lifelong path of recovery and making amends to those I have harmed. I apologize for any and all pain that I have caused, and I apologize to the people of the State of New York for disappointing them after they put their trust in me." 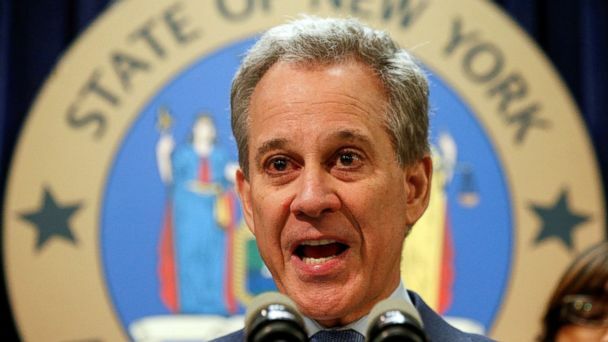 The investigation found no misconduct by Mr. Schneiderman's staff in the Office of the Attorney General, according to Singas. How the story brokeThe New Yorker and The New York Times had been racing for weeks to report and confirm the story and, by last week, Schneiderman's camp was quietly talking about the ongoing reporting, according to people directly involved in the discussions. The first public statement - in which Schneiderman denied assaulting anyone but said that he "engaged in role-playing and other consensual sexual activity" -- was issued in an effort to stanch the bleeding while holding back some material that might be suitable for second- or third-day statements, the individuals said.